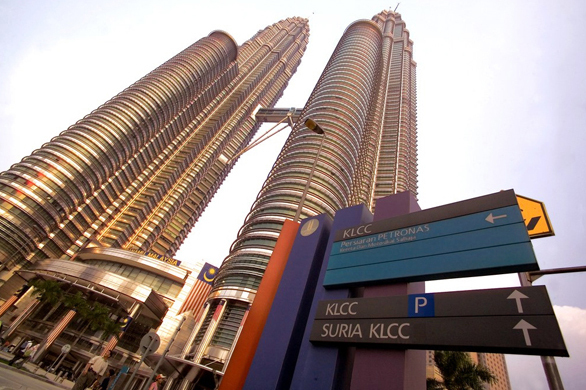 Visit and experience the PETRONAS Twin Towers first-hand. Begin your tour with interactive displays that showcase the journey, from idea to completion. Scale 170 metres in an elevator with a futuristic edge. 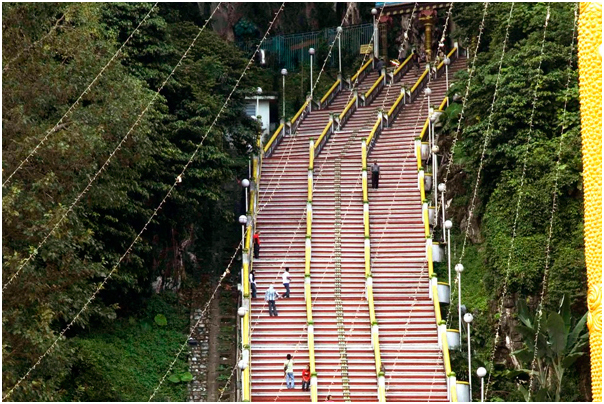 The doors will open at the Skybridge, a connecting structure between the towers and the world's highest 2-storey bridge. 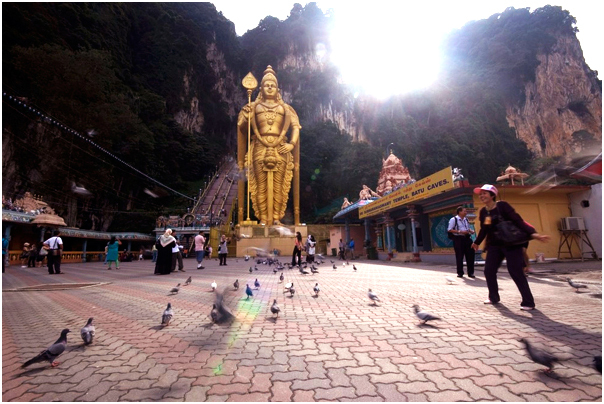 Ascend even higher to level 86, where the story of Malaysia's vision unfolds amid breathtaking views of Kuala Lumpur. Then wrap up your visit with exquisite souvenirs at the gift shop. 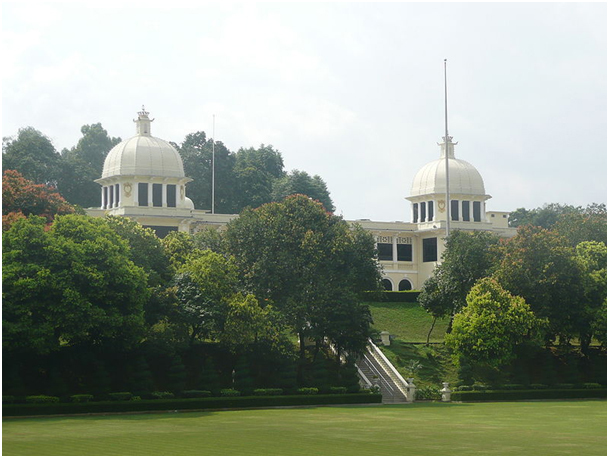 Surrounded by a beautiful park, green lawns and ponds the King´s Palace, Istana Negara, is the official residence of the Yang Di-Pertuan Agong, a Malay title usually translated as "Supreme Head". 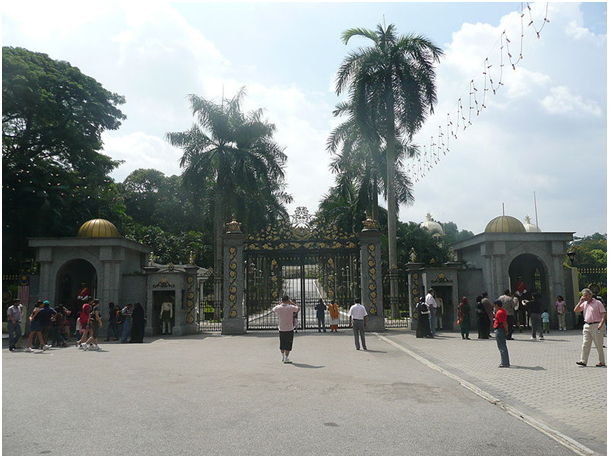 You can watch the Palace from outside the main gate where the Royal Guards, dressed in white Malay as well as red British inspired uniforms, are guarding the main gate on horse and on foot. The Kingdom of Malaysia consists of 9 sultanates (Johor, Kedah, Kelantan, Negeri Pahang, Perak, Perlis, Selangor, Sembilan and Terengganu) and 4 non monarchic states (Malacca, Penang, Sabah and Sarawak). The "Yang Di-Pertuan Agong" or Paramount Ruler is elected among the sultans every five years, which means that there are 45 years until a sultan can be elected for the second time. The king in Malaysia is the head of the state. Together with the Prime Minister, the King appoints the cabinet from among the members of Parliament, as well as the nominal head of the military and all three branches of government. Since December 2006 Chief of State is Paramount Ruler Sultan Mizan Zainal Abidin. The National Monument was built to recognise and honour those who gave up their lives in the cause for peace and freedom, particularly during the nation's struggle against the threat of communism. Within the National Monument grounds is one of the world's largest free-standing bronze sculptures. It was sculpted in 1966 by Felix de Weldon, who was also the creator of the famous Iwo Jima monument in Washington DC. 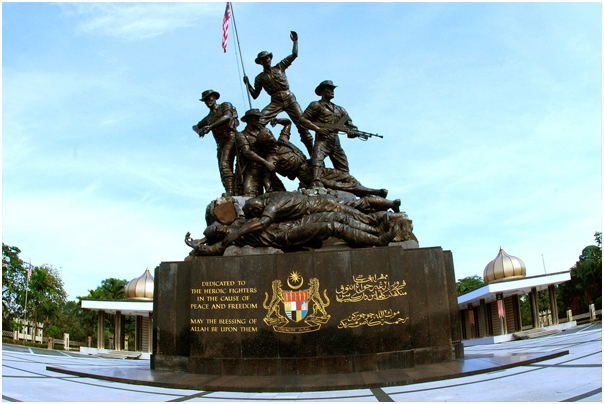 There are seven bronze human figures atop an oblong base; each figure denoting one of seven qualities: courage, leadership, sacrifice, strength, suffering, unity and vigilance. The topmost figure, at the centre, holds aloft the Malaysian flag. He is flanked on the left and right by two other soldiers, both armed; the figure on the left is armed with a machinegun, while the other carries a rifle and a bayonet. 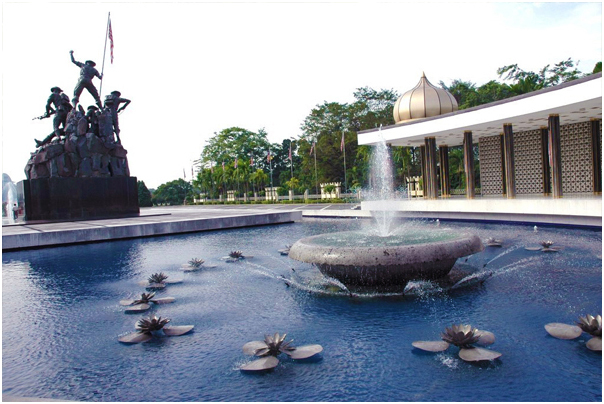 The National Mosque is located right next to the architecturally fabulous old railway station, and just a short walk to the sprawling Lake Gardens and National Monument. 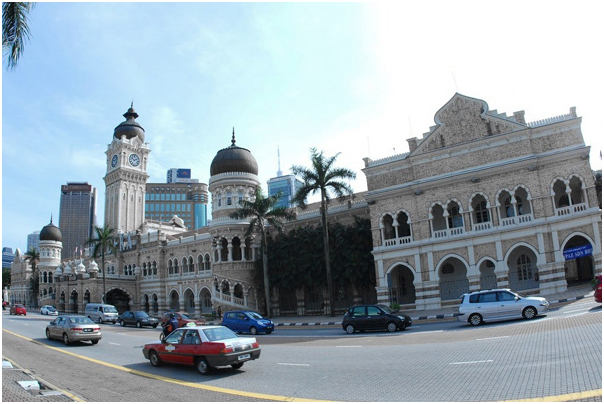 The iconic Sultan Abdul Samad building is located in front of Dataran Merdeka and Royal Selangor Club, along Jalan Tunku Abdul Rahman. It was completed in 1897 by A.C. Norman. During the time of the British administration in Malaya, it was used to house several government departments. Today, this historical building houses the Supreme and High Courts. The building with unique Moorish designs and clock tower is widely photographed by visitors to the city centre. On important occasions, the building is decorated with colourful lights and flags. The historic Dataran Merdeka, where the Union Flag was lowered and the Malayan flag hoisted for the first time on 31 August 1957, is also just across the street from the Sultan Abdul Samad building. 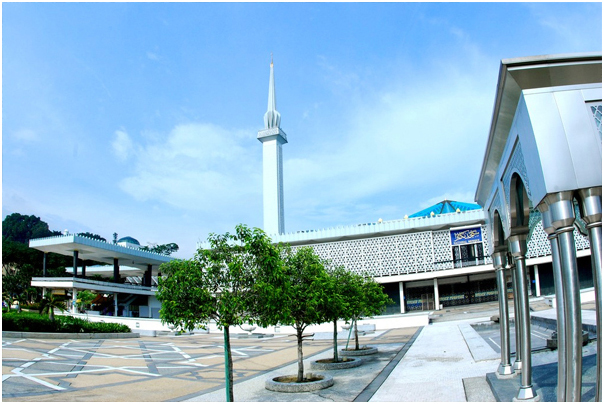 Merdeka Square is located in Kuala Lumpur, Malaysia. 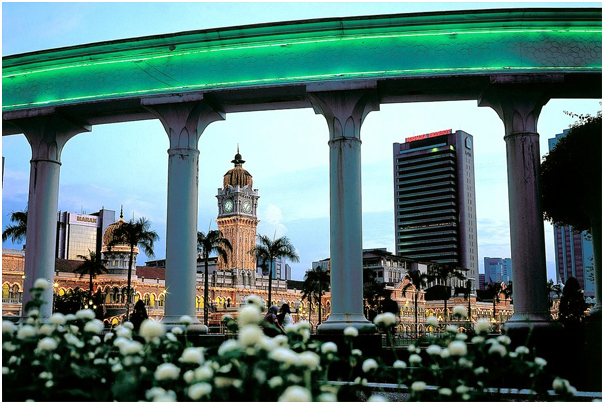 It is situated in front of the Sultan Abdul Samad Building. It was here the Union Flag was lowered and the Malayan flag hoisted for the first time at midnight (time: 12:00 AM) on August 31, 1957. Since then, Merdeka Square has been the usual venue for the annual Merdeka Parade (National Day Parade). Surrounding the square are many buildings of historical interest. Just beside the square is the Sultan Abdul Samad Building currently the office of the Ministry of Information, Communication and Culture of Malaysia. Opposite the square is the famous Royal Selangor Club Complex built in 1884 as a meeting place for high-ranking members of the British colonial societyTo the South is the former National History Museum which used to house a vast collection of historical items. The collection has recently been moved to Muzium Negara. 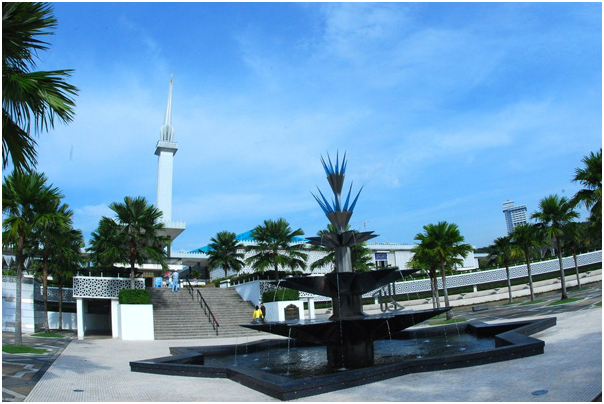 To the North is the St. Mary's Anglican Cathedral, currently the Diocese of West Malaysia and the see of the Bishop of West Malaysia. A 95-metre flagpole, one of the tallest in the world, marks that spot with a flat, round black marble plaque. It is located at the southern end of the square. Nearby is also the original Kuala Lumpur Railway Station, which is still operational. However the main hub has recently been moved to KL Sentral in 2001. 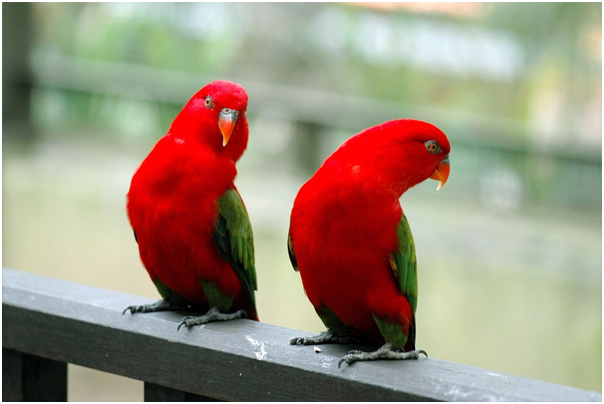 The KL Bird Park is located in the serene and scenic Perdana Botanical Gardens, 10 minutes away from the Kuala Lumpur city centre. 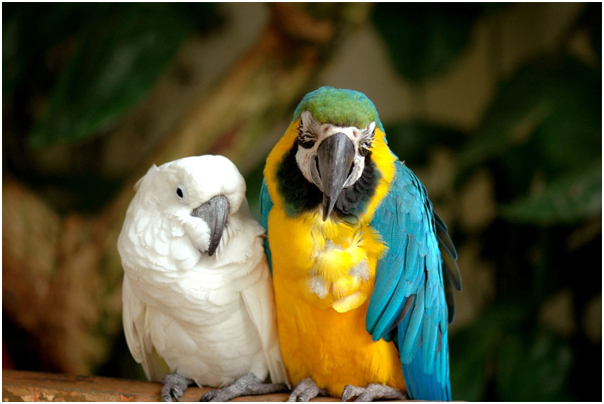 Home to more than 3,000 birds of 200 local and foreign bird species, the main feature that distinguishes KL Bird Park from other bird parks is the concept of free-flight. Stroll through the park, and take the opportunity to see Mandarin ducks, hawk eagles, hornbills, ostriches and other birds. Visit the Egg Incubation Room and Nursery and see how chicken eggs are artificially incubated using incubators. Don't forget to take photographs with the different species of birds, and catch the feeding programme and daily bird shows taking place at the semi-open air amphitheater at 12.30pm and 3.30pm daily.